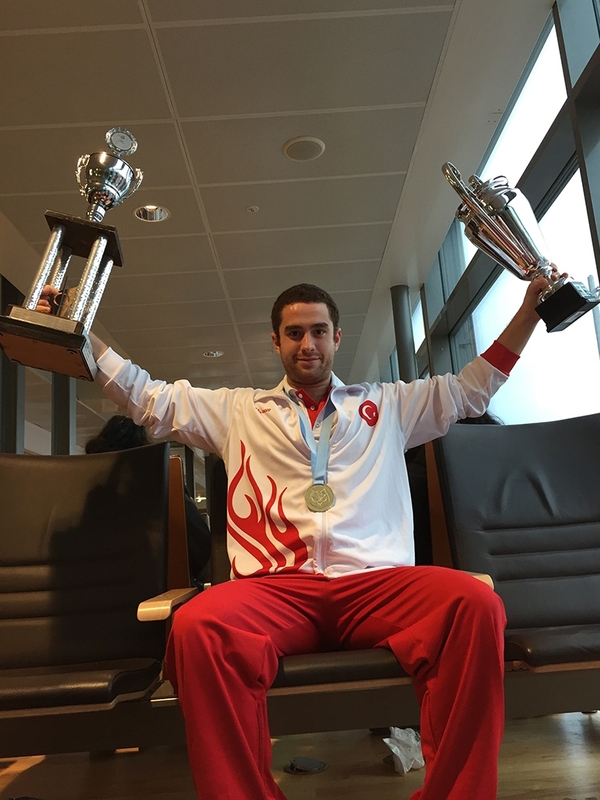 Özer reported that he had been swimming professionally since the age of 6, and he came to know about underwater rugby by coincidence thanks to Tarkan Laleli, the National Team Coach. “I love swimming and have been swimming since I was 6. All the muscle group work equally compared to traditional sports. It is more entertaining than the other exercises. While we were joking around underwater in the pool, Tarkan Laleli, the Pool Director back then, noticed us. As we got out of the pool, we thought he was going to give us a warning, but to our surprise, he introduced us to underwater rugby. I have been involved with underwater rugby since the age of 16. We worked very hard with the help of our trainers. I came in second at a special tournament in Germany last year. 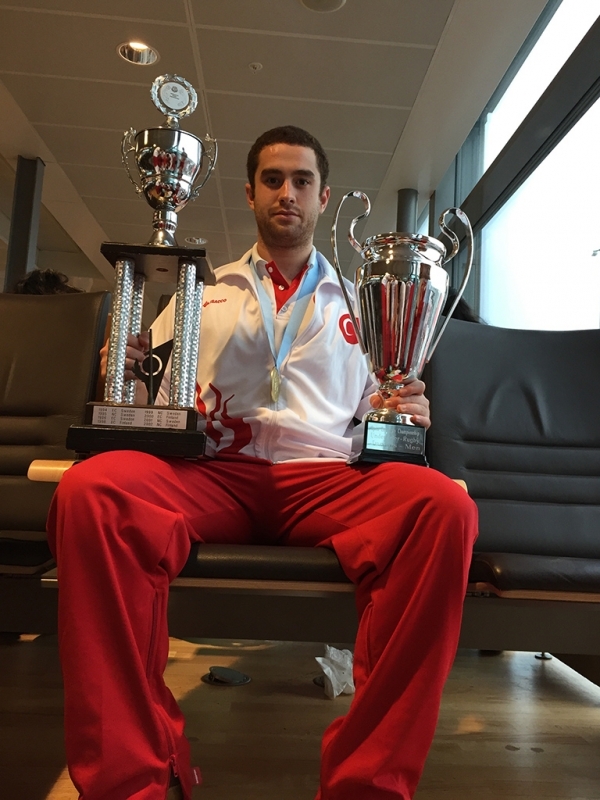 And this year, as the National Underwater Rugby Youth Team, we got the championship trophy at CMAS Open Europe in which we participated for the first time,” said Özer. Özer pointed that, his underwater rugby journey which started out with a coincidence, helped him become a more disciplined, successful, healthy, and ambitious person and he stated that youth should be involved with one sport at least. It is played under water in a pool with a depth of 3.5m to 5m and goals. Two teams, each with six players, try to score a goal by sending the slightly negatively buoyant ball (filled with saltwater) into the opponents’ goal. The ball may be passed in any direction but must not leave the water. It "flies" about 2m or 3m before water resistance stops it. Even though Underwater Rugby is not all that popular in our country, it has a history over 10 years.